DCMI traces its roots to Chicago at the 2nd International World Wide Web Conference, October 1994. Yuri Rubinsky of SoftQuad (who chaired panels regarding the future of HTML and Web authoring tools) along with Stuart Weibel and Eric Miller of OCLC (who were presenting papers about scholarly publishing on the Web and leading discussions on the delivery of Web-based library services) had a hallway conversation with Terry Noreault, then Director of the OCLC Office of Research, and Joseph Hardin, then Director of the National Center for Supercomputing Applications (NCSA). This discussion on semantics and the Web revolved around the difficulty of finding resources (difficult even then, with only about 500,000 addressable objects on the Web). Their initial brainstorming lead to NCSA and OCLC holding a joint workshop to discuss metadata semantics in Dublin, Ohio, March 1995. At this event, called simply the "OCLC/NCSA Metadata Workshop", more than 50 people discussed how a core set of semantics for Web-based resources would be extremely useful for categorizing the Web for easier search and retrieval. They dubbed the result "Dublin Core metadata" based on the location of the workshop. Since that time conferences and workshops have been held in many cities around the world. 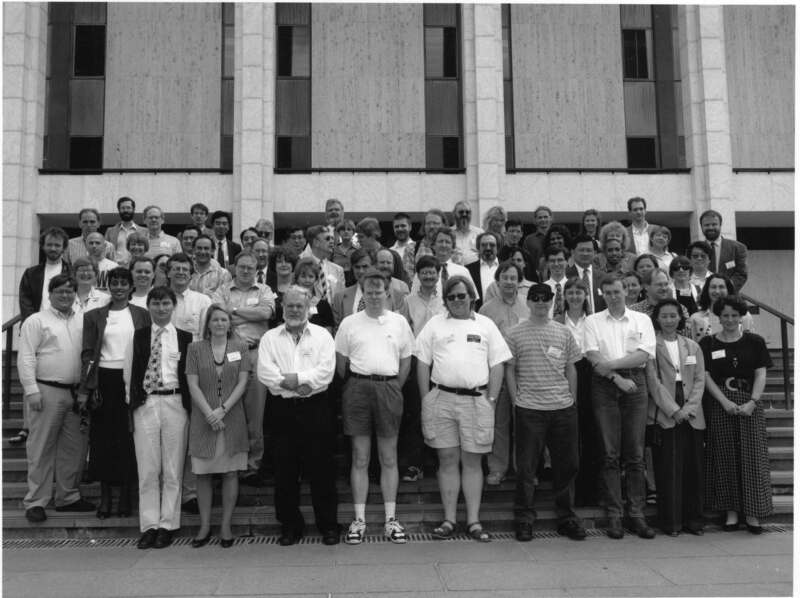 In 2001, the workshop format was broadened to include tutorials and peer-reviewed conference papers and posters, offering the metadata community a greater opportunity for learning, exchange of ideas, and development of DC metadata standards. DCMI continues to attract a world-wide constituency. While the language of the development of DC standards is English, the Initiative recognizes that the language of metadata is generally the language of the resource described. Weibel, Stuart L. 2009. "Dublin Core Metadata Initiative: A Personal History." In Encyclopedia of Library and Information Science, Third Edition, ed. Marcia J. Bates and Mary Niles Maack. Boca Raton, Fla.: CRC Press. Pre-print available online at: http://www.oclc.org/research/publications/library/2009/weibel-elis.pdf.